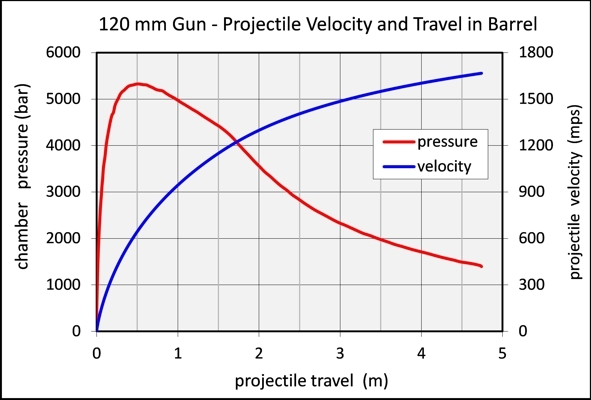 The following graph shows the measured gas pressure in function of time. 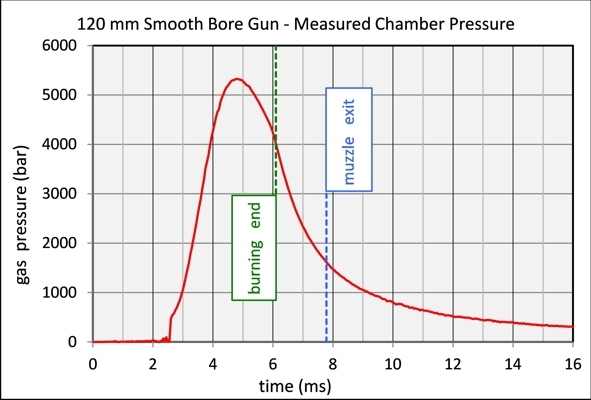 The point of measurement in the chamber is at a distance of 261 mm from the breechblock. The end of burning of the propellant is very well visible. 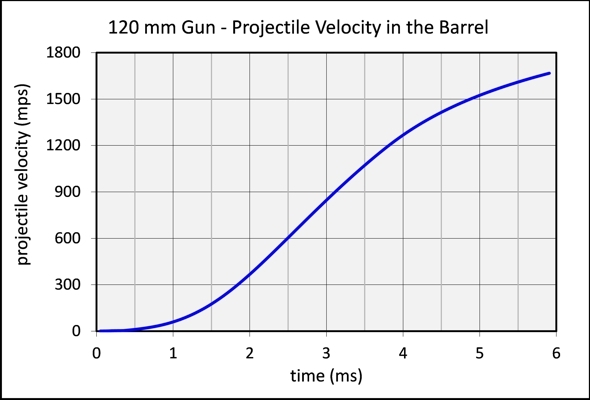 At the muzzle exit of the projectile there is still a considerable pressure measured.